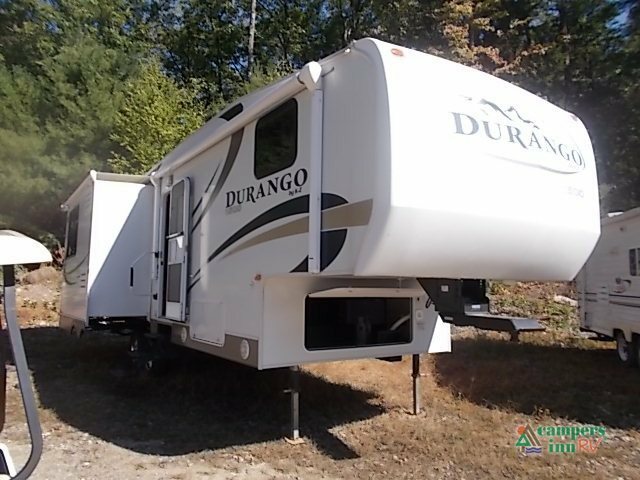 Double Slide Durango FW by KZ, Rear Ent. 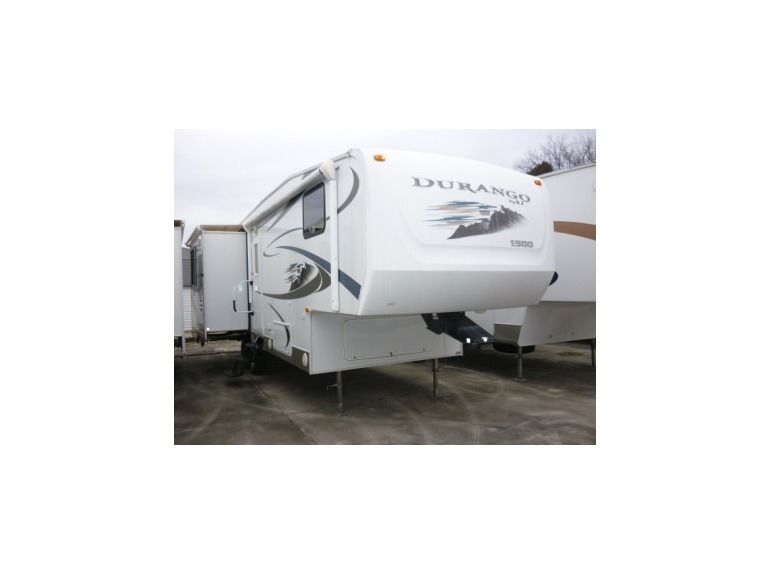 Ctr., Booth Dinette & Pantry/Refrig. 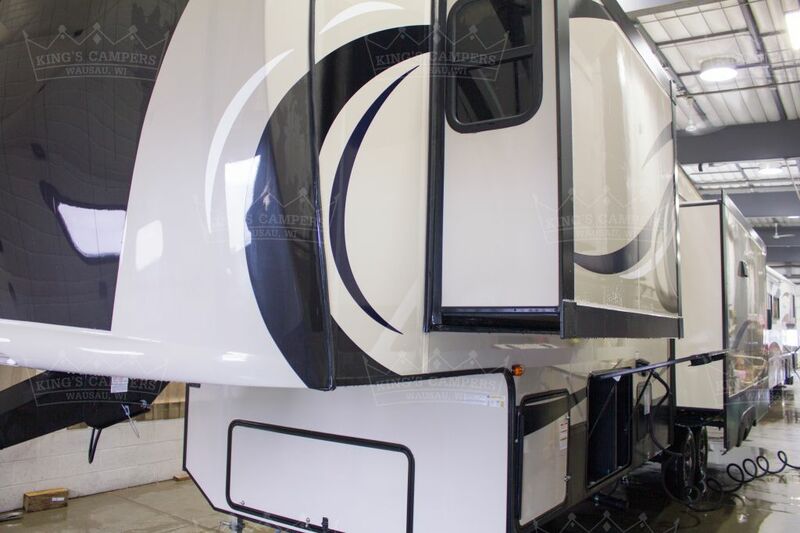 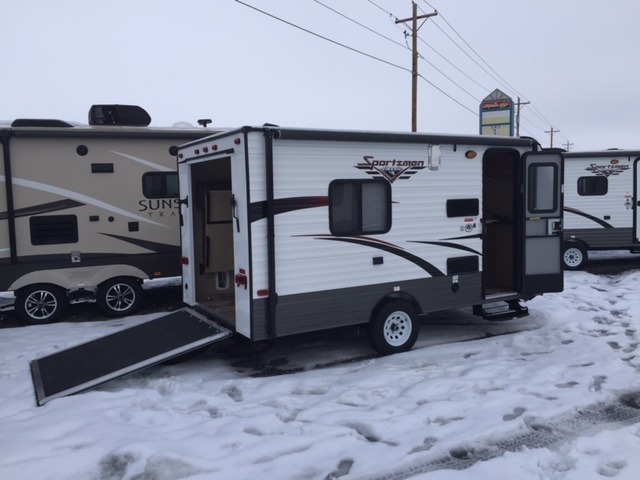 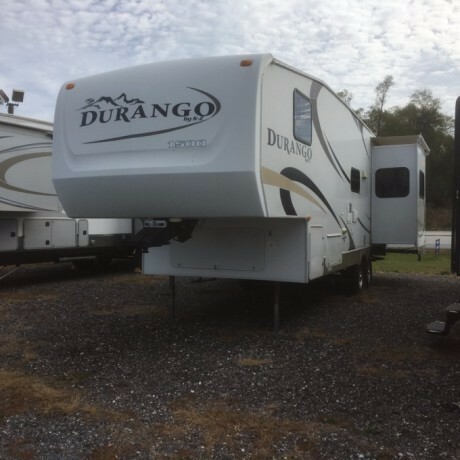 Slide Out, Sofa Slide Out, 3 Burner Range, Double Kitchen Sink, Step Up Bath/Bedroom, Corner Shower, Toilet, Lav., Linen, TV Mount, Front Queen Bed w/Double Ward., 14' Awning and More. 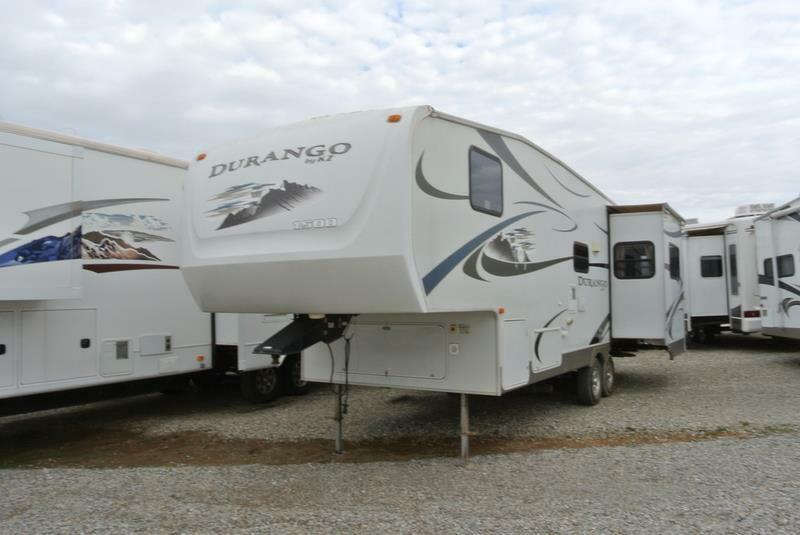 2010 KZ Durango D275RE, Call for details. 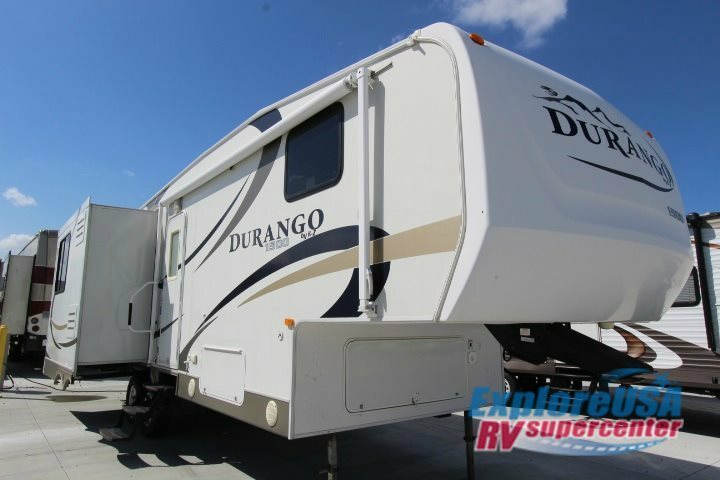 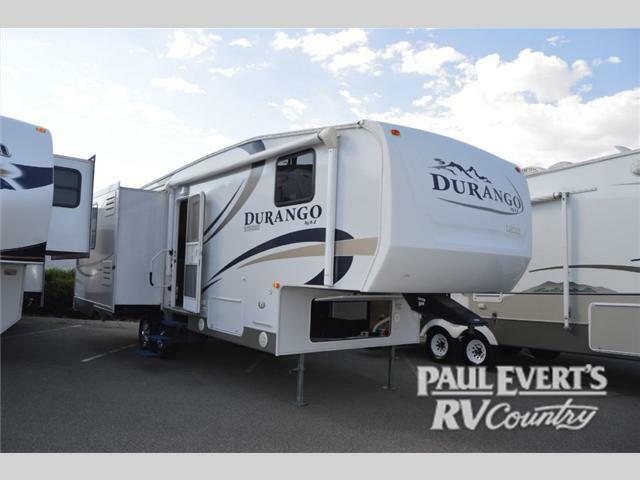 2010 KZ Durango D275RE, This unit is very clean. 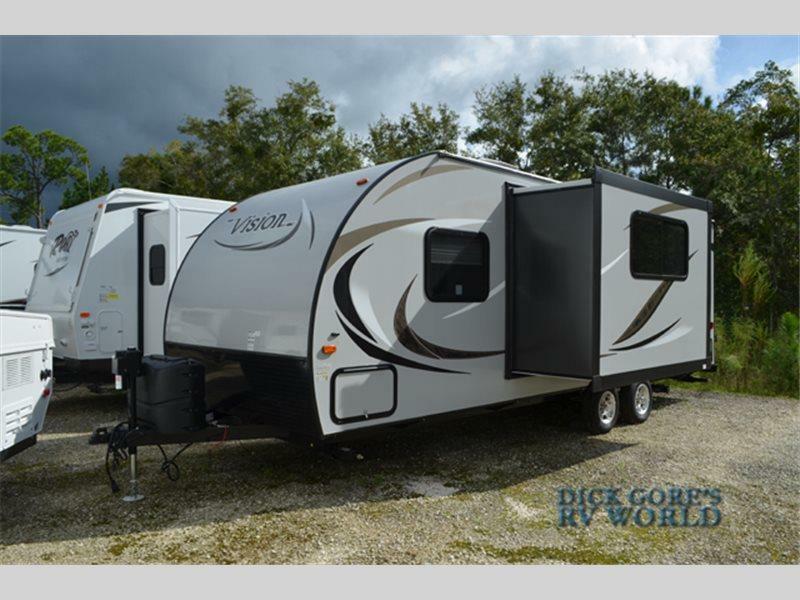 It is very open with the living area in the rear, and the bed in the front. 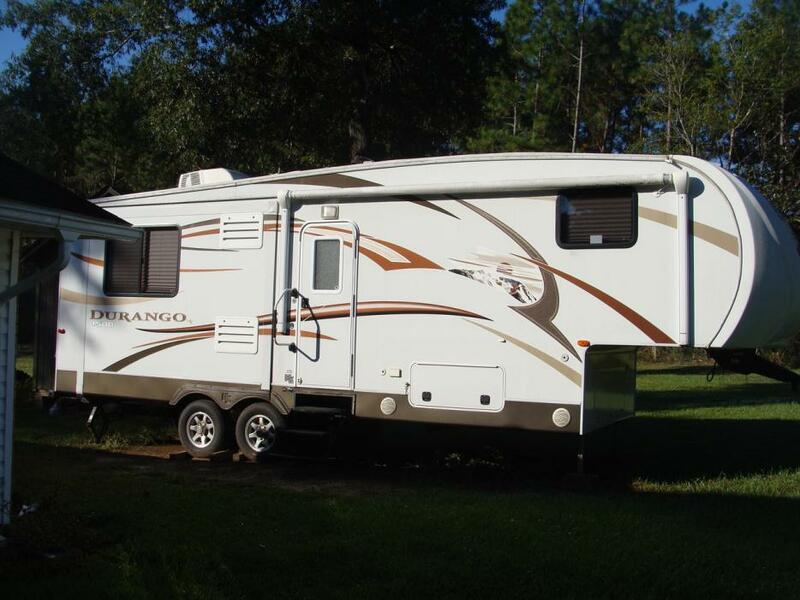 It has a nice open shower as well.